With shooting scheduled to begin in November, Wonder Woman rumors are beginning to fly. Fan and entertainment sites are working hard to dig up more details about what exactly the long-awaited feature film of the legendary Amazon Princess will be about. Here are the latest rumors involving plot, villains, setting and a surprise appearance by a certain caped crusader. Wonder Woman will take place during World War I and modern day. It will honor her comic book roots as an immortal mythological figure. Circe and Ares will be the main villains with Eva Green and Sean Bean rumored to be on the studio's wish list (ours too). Greek mythology will be fully embraced as Ares will serve as "puppet master" while leaving the dirty work to Circe who'll employ mystical beasts and even turn herself into a Chimera-like creature in the final fight. The basic plot involves Diana/Wonder Woman (Gal Gadot) and Steve Trevor (Chris Pine) trying to stop Circe and Ares from starting World War III. Wonder Woman had previously defeated Circe during WWI as she tells Trevor, but it's not known if it'll be seen as a flashback or part of the prologue as the majority of the film takes place in modern day. The invisible jet will make an appearance but will be downplayed and used sparingly but little is known how much exactly. 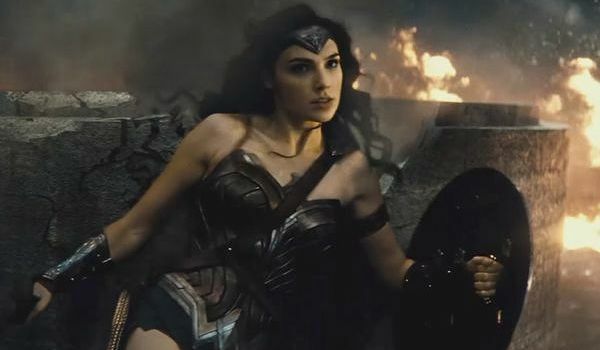 After Wonder Woman defeats Ares' minions, saving civilians in the process, Batman approaches her afterward to acknowledge her and begin a relationship that carries over to Batman V Superman: Dawn of Justice. The events of the Wonder Woman film take place months before BvS. It also continues to make the Dark Knight the constant in films like Suicide Squad and possibly other upcoming films. A lot of news to take in but it all sounds perfectly feasible. The film pays homage to her mythological roots as they have in the comics setting the table for some epic battles on screen. And that's what a WW film would require, larger that life villains that are omnipotent. I'm sure we'll see plenty of leaked set photos and Vines of stunt people in front of a green screen or blurry YouTubes of an army of buffed out Amazon extras. More info is on the way regardless as we await the June 23, 2017 release. What do you think? Are you more psyched now than before? Let us know below in the comments.